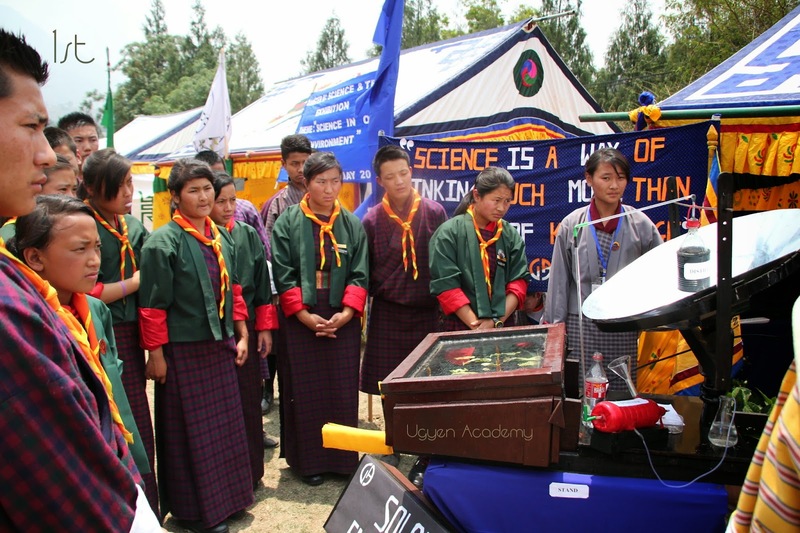 The 2014 Cluster II Science & Technology Exhibition in Bajothang is the grandest I have ever seen. 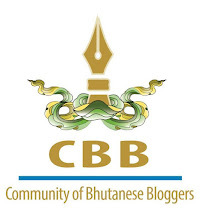 Children from twelve higher secondary schools have broken many barriers though there is no denying that we are still caught in the box by international standards. 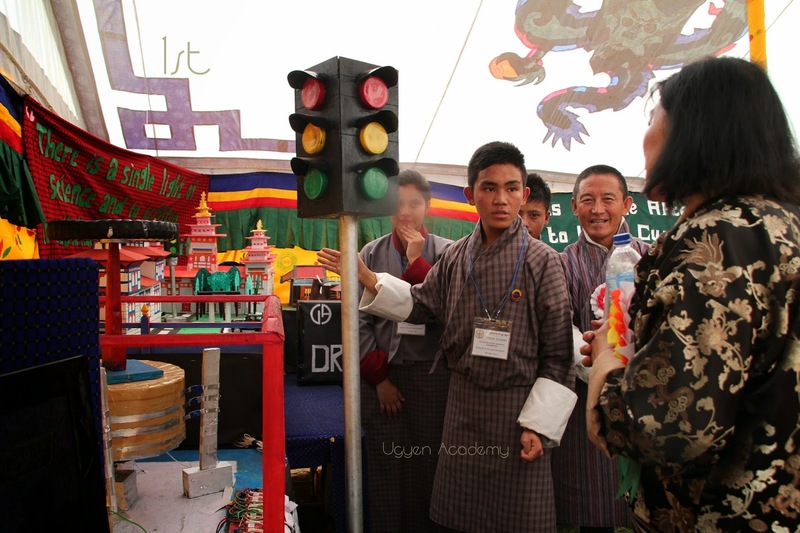 The winner was Ugyen Academy took home a cash prize of Nu.25,000. 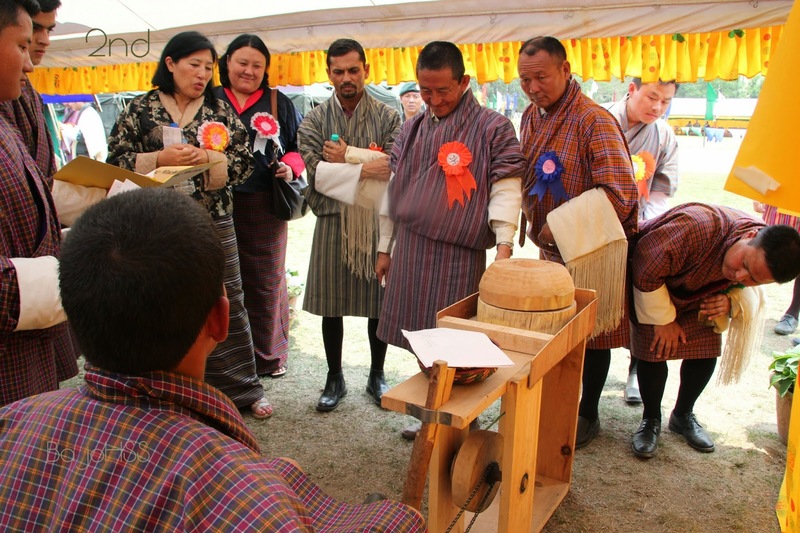 They presented a Multipurpose Machine- a washing machine and spinner, grinder, rice mill and water pump- run by paddle connected to series of gears. The carpentry and welding works are done so beautifully that it ought to win. The team also presented a concept of traffic signal that is a result of complex algorithm of circuits. 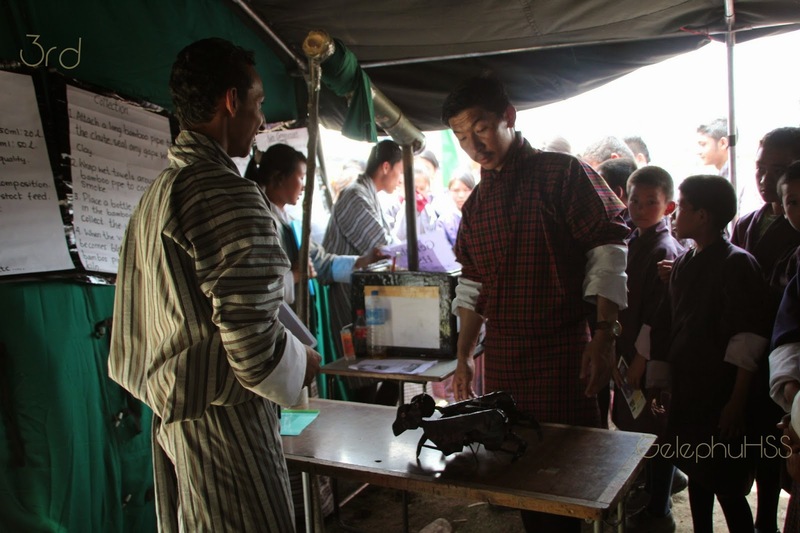 And their third exhibit was a solar food dryer that they claim can also be used as cooker. They have also brought along a TV disc that can also heat water. But since only three exhibits were allowed they must have presented either of the two, anyway they were declared the winner! Congratulations. The first runners up was explosive literally, it's my school Bajothang. 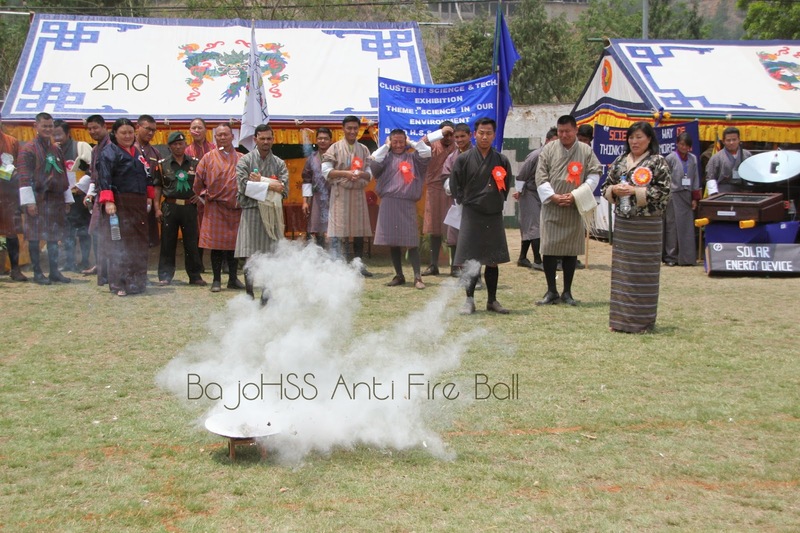 They have made an anti fire ball, which when thrown in fire will explode and extinguish the fire. The demonstration impressed many people but the idea to me seemed imitated. Next was a Mop on the Wheel. This can be driven across the floor and the wheel will help turn the sponge that will clean the floor, the handle has a pair of switches to spray water and soap on the floor. 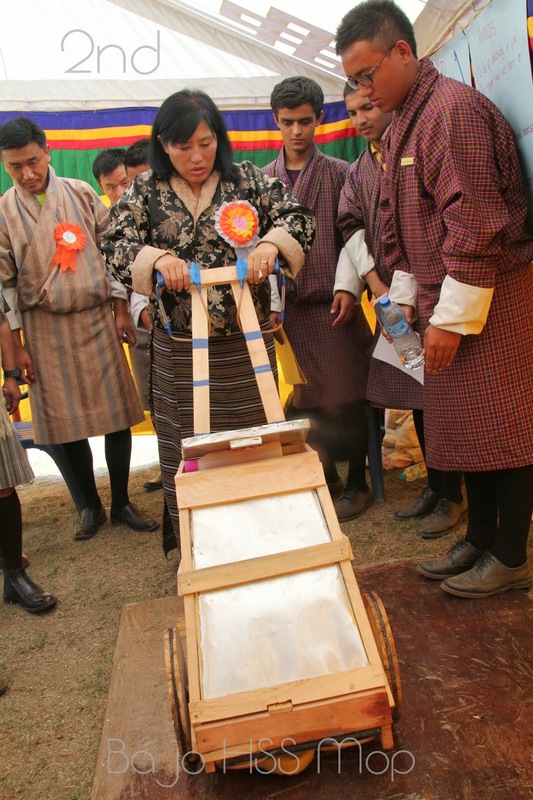 Our third exhibit was a traditional grinder (rangtha) driven by gears connected to paddle. 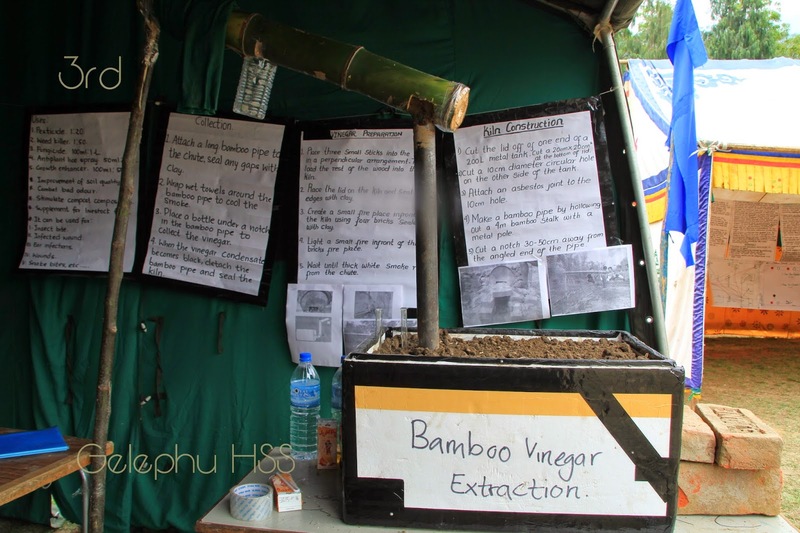 Second runners up was Gelephu Higher Secondary School who were more into chemistry, they demonstrated the procedure to extract vinegar from bamboo. 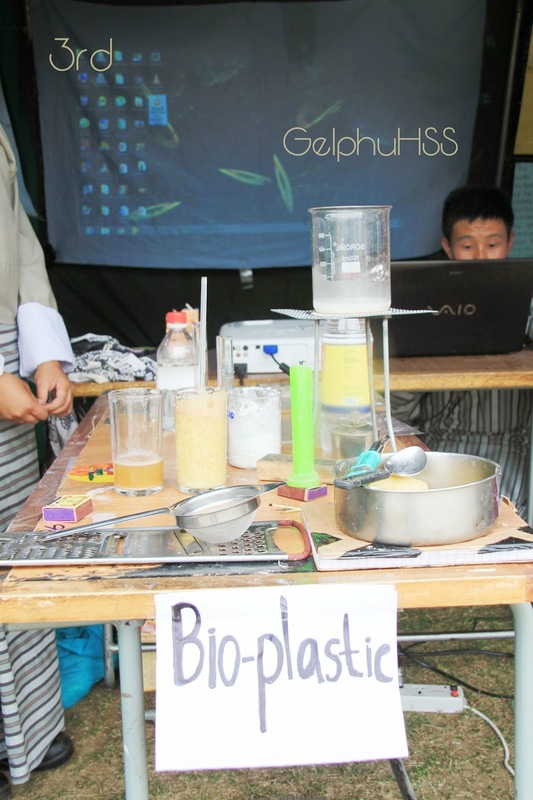 and also show us how to make bio-plastic from potato. The plastic can be fried into chips after use or cook as curry lol. And they impressed us with their miniture robotic bull. The bull is run by series of motors and can be maneavured into any direction including reverse. They took home Nu.15,000. I will share about the rest of the exhibits after I finish compiling the official report. Some of them are even better than the ones I have shown here, but they couldn't win because the result is based on the average of all three exhibits. 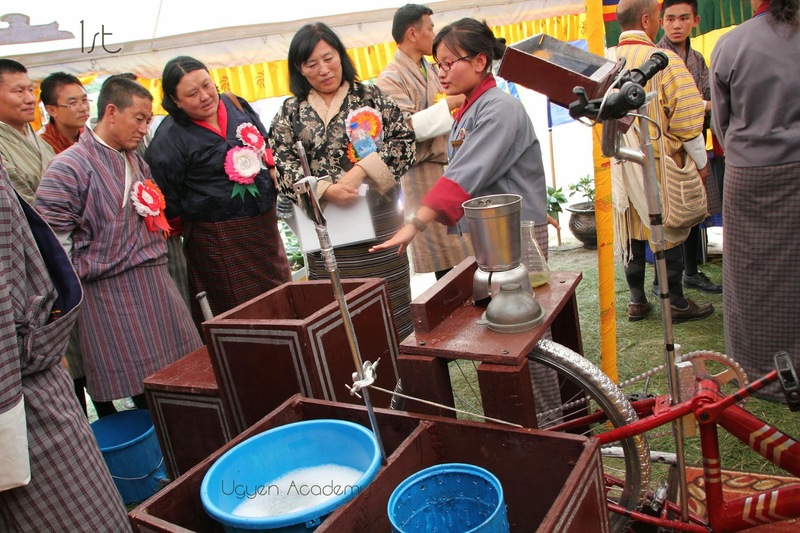 wonderful to see that bhutanese students are very enthusiastic about experimenting with what they learn in science class. I like the traditional grinder driven by gears, the mop and the idea of TV dish for heating water. some of the things displayed here are already in commercial use.